The Rey3 Design Collaborative (Rey3 Design), a Los Angeles-based architecture and interior design firm specializing in providing design services and custom furnishings for luxury, residential, hospitality/resort and commercial properties, has designed a multi-room building with original furniture and custom built-ins for The Bello Family Vineyard. Located in Napa Valley at 929 Main St. in St Helena, Calif., the tasting room allows customers to lounge in modern opulence that merges old-world design with a hip, contemporary style. We wanted to showcase the new wine label by creating a rigorous brand experience through the use of a cohesive design language, said Rey III Viquez, design director for the project and design principal and owner of Rey3 Design. The Bello Family Vineyard has a strong French influence, which we highlighted with a modern French design in sharp contrast to the traditional rustic Napa experience. The final product captures the vineyards exclusive and upscale taste to really set the tone for the brand and create an exciting new experience for Napa visitors. The new building consists of two lavish private tasting rooms, one with lounge seating and the other with a communal table, a main tasting bar, a retail display, a private office, storage area and restrooms. In addition, the building features front parking, a front patio, a back patio and a covered translucent roof terrace with an outdoor bar and lounge seating. Rey3 Design created the new space from the ground-up, and was involved at all stages of the project — from concept, schematic design, design development, construction documents, permitting and construction administration. The scope of work included internal space planning; architectural detailing; architectural accessories selection such as exterior lighting, awnings, and outdoor terrace glass; canopy design; and outdoor fireplace design. The design firm also custom designed all the furniture and accessories such as the upholstered panels, custom chandeliers, custom serving bar, retail display cabinets, plumbing restroom fixtures selection, and lighting selection for the whole project. In addition to Viquez, Rey3 Design team included Andrew Clark and Louis Polidori, project designers; and Lorrie Shapiro, project manager. The Rey3 Design Collaborative is an architecture and design firm known for providing clients with an exceptional experience, and places a premium on creativity and user needs. Rey III Viquez, founder and design principal of Rey3 Design, holds a masters degree in architecture and is an industry veteran with over 25 years of integrated architecture and interior design experience. The firm provides comprehensive architecture and design services for residential, commercial and hospitality/resort properties; custom furnishings; and interior design for yachts. For more information, please visit http://www.rey3.com. Crooked Brook, makers of “The World’s Highest Quality Chef Jackets” was contacted by Mark Rosati, Culinary Manager of the modern day roadside burger stand Shake Shack, to cut, sew and embroider his custom camp shirts. The shirts are Crooked Brook Style BSM500, made in White, 100% cotton Gabardine fabric, with a hidden placket, short sleeves, left shoulder sleeve tailored welt pocket, and left chest tailored welt pocket with white piping. For a signature look, Rosati had 2-vertical rows of piping on right side; one row in Kelly and the other in black. The Shake Shack is a modern day “roadside” burger stand serving the most delicious burgers, hot dogs, frozen custard, beer, wine and more! They use the finest local ingredients to make their versions of much-loved American classics. Shake Shack opened its windows in Madison Square Park in 2004 and immediately became a neighborhood fixture, with locals, tourists and people from all walks of life gathering to enjoy some Shack goodness. Remarkably, people took to the wait, happy to be together amongst friends and strangers in the name of delicious food, in a fantastic setting. The press took note as well; the Shake Shack Burger, Hot Dog and Frozen Custard were highlighted among the best in the city by numerous media outlets over the years. Shake Shack is part of Danny Meyer’s Union Square Hospitality Group, which includes: Union Square Cafe, Gramercy Tavern, Blue Smoke, The Modern, Cafe 2 & Terrace 5 at the MOMA, Union Square Events and Maialino. Crooked Brook is a unit of the atelier division of an art studio that offers full service apparel design, pattern making, sample making, private-label small lot production and embroidery. Since 1989, theyve built a strong reputation of providing top-notch apparel designs, patterns, fit and production samples for many brand name catalogs and retailers, as well as wardrobe and costumes for movies, television and theater. Inspect2Go is a mobile application, cloud database and software development company based in Southern California. The firms mobile technology includes inspection checklists and apps with signature, photo, markup, custom reporting, pdf, scoring and database functions. The checklist apps are compatible with Apple iOS (iPhone, iPad) and Android. Inspection results are sent to Inspect2GOs cloud database for storage. Reports, graphs, trends and data feeds can be retrieved from the cloud. Love Custom Art, the custom art company based in the US and UK have just had the grand opening of Love Custom Prints which has gone live today: http://www.lovecustomart.com/prints/ the fully integrated canvas print site. Also to just to make everyone aware of the very festive Christmas gift discount offers of 20% for regular customers and 25% for customers whom click the follow on facebook button via the fully interactive on-line stores (See home page for details): http://www.lovecustomart.com/ website users can find more detailed information about how the photo to painting process works online. For a personalized photo print on canvas the photos resolution should be of good enough quality to result in a quality print. If one of the special editing styles is chosen; Love Custom Prints can also work with photos of a lower resolution. The image consultation service is free of charge as well as simple enhancements. For a handmade oil painting, the quality of the photos is crucial to achieve a high quality piece, but do be sure to contact one of the experts at Love Custom Art if the photos resolution is not high enough and one of the team will advise on the best way to proceed before an order has been placed and money spent. Love Custom Prints is an addition to the existing photo to painting service website. The standard photo to canvas service (with no special editing required) the photo retouching is absolutely free. Photo to Pop Art styles are professionally edited by graphic designers in the style chosen. All that’s required is simply upload photos during the order process with editing instructions. Here are some of the unique styles on offer on their new website: Avatar, Graphic Style, Color Splash, Grunge, Jamaica and Oil Painting style. LCA are expanding their business by having a Canvas Print sub-domain which will give the client the option of photos printed onto canvas as a cheaper alternative to a hand painted piece. Love Custom Art’s flagship on-line store specialize in Custom made (bespoke) hand painted portraits by professional artists painted from customers personal photographs at very affordable prices. Just to be clear; if a hand painted portrait happens to be the preferred canvas, then the editing is completely free, but for a print onto canvas then the editing for one of the special styles comes at a small cost. As a quick overview here; the on-line shop has been designed as a more convenient and cost effective way to access personal art works by uploading digital photos rather than the conventional route of having to physically go to an Artists studio and pose for hours on end to achieve the same result. Custom Art is a very unique and popular gift for friends & family; choose between a photo to painting or a print on canvas. A splendid gift idea for Black Friday, Thanksgiving, Cyber Monday and at Christmas time, but also on any special occasion, for example: Anniversary gifts, Wedding gifts, Valentine’s gifts, Christening presents, Mother’s day presents, Father’s Day presents etc. Also, for all the animal lovers – Pet Portraits are very popular too. LCA have restructured their operations for Black Friday, Thanksgiving, Cyber Monday and Christmas so there is enough customer service operators on hand to facilitate all the orders from the print site, as well as the painting site, to maintain their impeccable turnaround time. LCA also offers its own affiliate program which allows members to earn a 15% commission on each successful referred sale. LCA have decided to adopt a marketing strategy to get these product’s as far and as wide as possible globally to market in time for the holiday season to benefit everyone’s and anyones art collection in the home or at the office. The customer support at Love Custom Art will help website users every step of the way to commission an original work of art in form of a Photo to Painting, print on canvas or as PopArt prints to canvas. If you answer correctly you will receive a 30% discount coupon! Restaurant industry apparel leader KNG today unveiled a new custom Promo Apron line featuring vivid full color graphics. KNG Promo Aprons transform the traditional apron into a walking billboard by giving foodservice operators the ability to have full color custom graphics imprinted onto aprons worn by their staffs. Aprons may be re-sold or given away as promotional items, too. The new restaurant aprons, available in bib and waist styles, come in a variety of imprint areas. Pricing starts at just over $ 5 with minimum quantities of only 12 Promo Aprons. KNG Promo Aprons are custom created using the client’s artwork. The Promo Apron line offers a variety of imprint sizes, all in full, bright color. Each Promo Apron is made from high quality, durable spun-poly fabric specially designed for the rigors of foodservice. The high print quality allows the restaurant aprons to feature complex graphics, such as detailed artwork and photos. The graphics are imprinted onto the fabric through a technology called dye sublimation. This technique is superior to screen-printing, as the image is transferred by gas and is embedded within the garment fibers instead of printed on top of the garment. This ensures the aprons retain their original softness while withstanding stains and heavy laundering without fading. In addition to employee apparel, the Promo Aprons can be used as giveaway or re-sale items. KNG is the worlds preeminent menu cover manufacturer and a leading provider of chef wear, server uniforms, and restaurant supplies. Founded in 1965, the company has more than 100,000 hospitality clients worldwide, including such leading operators as Pizza Hut, T.G.I. Fridays, Perkins, McCormick & Schmicks, Chilis Grill & Bar and Guest Services. KNG products are backed by a full 90-day money-back guarantee and a 150-percent low-price guarantee. For more information, visit http://www.kng.com. It is quite common to see businesses in New York get confused over which platform to choose for their websites. Most experts agree that Joomla is the perfect platform to create web portals. Written entirely in PHP, Joomla is currently used by over a million websites all over the world. Some of the worlds popular e-Commerce CMS sites like Citibank, MTV and many more use Joomla. With amazing flexibility and cutting edge functions, Joomla is also a stable CMS to develop, operate and upgrade. Asahi Technologies, a New York based Web Development firm has launched custom modules specially developed for Joomla to help businesses across New York adapt to evolving web technologies. Unlike many other frameworks, Joomlas multi-lingual support feature is very helpful when creating non-English websites. The best examples would be the customized Portuguese website of Porsche Brazil or the French website for Kelloggs. These were developed on Joomla platform without any hiccups. It remains as one of the striking features of Joomla in web development. Most e-Commerce experts and developers seem to echo this positive review on Joomla CMS. One of the major reasons why websites migrate to Joomla is the adequate security measures in the Joomla architecture. Most of HTML based websites are often prone to security risks, since Joomla is written in PHP and MYSQL code it is easier to identify and eradicate malicious content intruding websites. Besides that users can also find security updates and patches in Joomla forums and community for current security issues said Vinod Subbaiah, CEO of Asahi Technologies, who was also an e-Commerce CMS developer during early days of his career. “While Joomla gets used by over 1 million new businesses worldwide for their web portals, businesses would certainly need customized modules to gain competitive advantage. Our custom modules would serve the very purpose” adds Vinod. Although there are plenty of custom tools like Prestashop, ZenCart and OpenCart to enhance business development on the web, Joomla remains to be the most reliable and efficient e-Commerce CMS and its popularity is growing from one level to another. Asahi Technologies is a New York based custom software design and development firm that provides software consulting and development solutions to small and medium level businesses all across North America. Asahi Technologies specializes in responsive design, cloud computing, online marketing, mobile application development and open source technologies. Under the leadership of Mr. Vinod Subbaiah, who himself started his career as a software programmer, Asahi Technologies team comprises of experienced software professionals have extensive knowledge of technology covering B2C and B2B operations. The firms headquarters is located in New York City, NY. MyCustomSign.com, the leading provider of custom signs, is launching a new line of custom school signs and mats. The new stamps allow schools to promote brands and showcase unity among the students, faculty, and staff. Seven Directions Custom Tours offers captivating ideas to overcome both the constraints created by the economy and the shrinking free time most travelers encounter. The new line of getaways was initially inspired by the exciting transit of Venus that happened on June 5th. These days when time is short or budgets are smaller finding meaningful vacations can be challenging. Nevertheless, for travelers looking for an empowering experience there are several opportunities offering an intense and involving travel adventure. An Astronomy Tour under the Dark Skies of the Southwest takes immediately in an outwardly space. The sky this year is hip and trendy. Thanks to the spectacular annular solar eclipse and the enchanting transit of Venus gazing at the sky has become more popular and consequently the interest in astronomy. The skies of Arizona and New Mexico are generally pollution-free, also free of interfering lights during the dark hours. This explains the presence of so many observatories in both territories. Therefore a well balanced program between day-time immersions in the stunning natural settings of the Southwest and night-time sky observations can easily carry away from the daily routine lifting the spirit and opening the mind. Spirituality and Sacred Places Journeys can be shaped to different pursuits. People interested in architecture and history of churches and places of devotion can find reasons for inspiration in the 17th and 18th century Mission Churches of New Mexico and Southern Arizona. Others may prefer a deeper experience by partaking in spiritual ceremonies and select the spiritual path offered by ancient civilizations. Or, simply, one can fully enjoy the beauty of nature while doing some yoga in a pristine surrounding. Creative Hands-On Experiences allows immersing oneself in the culture of a place and get totally absorbed by crafting his or her own inspirations in a kind of meditative exercise. Bread making in a horno, painting, farming, writing, dancing, photographing, the choice of arts or crafts is endless. The result of such an experience is priceless. Seven Directions has developed over the years customized experiences for its many different clients requirements and dreams. No program is the same because every person has a different dream for a special vacation. Crooked Brook was called on by Chef Waldy Malouf to design, cut, sew and embroider the custom aprons for his newest New York City restaurant called High Heat. The aprons are Crooked Brooks style 740 bib apron made in khaki, 100% cotton denim fabric with an adjustable neck strap. The High Heat logo will be embroidered on the center front of the bib aprons. Waldy Malouf is the Co-Owner/Chef of Beacon and is opening a restaurant called High Heat on Bleecker St. in New York City. High Heat is the first restaurant opened of a three restaurant concept offering pizza, burgers and wine and beer on tap. The wine will be on tap in efforts to ‘go green’ and eliminate some use of plastics. Waldy Malouf has over 30 years experience in developing and managing successful food and beverage operations. He is culinarily driven, operationally focused and a natural leader. His service philosophy stems from the belief that employees and customers are a proprietors greatest asset. Together with a core team of industry professionals, his firm offers over 100 years combined experience in hotel and restaurant management. Digindigin.com an online web designer platform has just announced that it will be offering customized business card logo design logos to businesses and companies at an affordable price that customers are accustomed to. The need to provide customers with customized business card design logos are to enable them has a card design that conforms to their wishes and which will make their businesses achieve a professional look. The online design platform boasts of a pool of talented designers who form its online community. All that customers are expected to do is fill a clear order form with information on the kind of business card design and leave the rest to the talented pool of designers to customize the cards to their needs. Digindigin.com continues to be a force to reckon with in the provision of quality logo design, business card design and a host of other things that are of interest to designers. Customers can visit there well design website which has a unique graphic design hence making it easy for customers to navigate. Customers get to familiarize themselves with logo designs, business card designs, and web page design among other things. Customers can make their orders online with the help of dedicated staff who guide them on the different kinds of designs on offer. 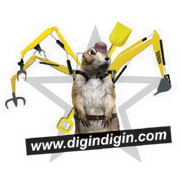 Digindigin.com is an online platform that is dedicated towards meeting all the clients needs. The site is dedicated towards providing customers with quality services at affordable rates. The new business card design logos are to be designed by its talented pool of designers who understand the concept of quality and customer satisfaction. All that clients need to do is fill a clear order detailing what they want on their business cards as well as the graphics that they are interested in. For more information on business card design and what it entails, customers are advised to visit http://www.digindigin.com/ . The site contains a hotline number where customers can make a call and speak to the dedicated customer supports that are available 24/7. The customer support staffs are very knowledge on the subject of designs and are therefore very helpful in helping customers make an informed decision.